The daughter of diplomats, Jane Bow grew up in Canada, the U.S., in fascist Spain, in England and in communist Czechoslovakia. The French and British schools she attended could have come out of Charles Dickens novels and her teenage holidays were spent behind the Iron Curtain at the height of the Cold War. This background has given her insights that inform her history-based fiction. 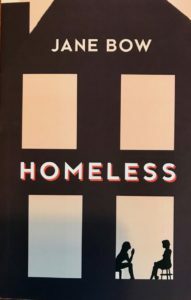 Jane’s novella Homeless was shortlisted for Quattro Books’ Ken Klonsky Award and published in 2018. 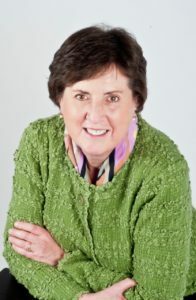 Cally’s Way, Jane’s third novel, was published by Iguana Books in 2014. Set in Crete, it interweaves the story of 25-year old Cally, a Canadian business graduate, with that of her grandmother Callisto who was a runner in the Cretan Resistance during the Germans’ brutal World War II occupation. Kirkus called Cally’s Way “accomplished, lyrical… romantic but tough-minded.” The novel reached #2 on an Edmonton bestseller list, and Jane received Canada Council funding to present it to the U.K.’s Folkestone Book Festival. The Oak Island Affair was a 2008 Indie Book Award finalist. Dead And Living, published by Mercury Press, was shortlisted for an Arthur Ellis Award, and selected for a university course in 2002. Jane lives with her husband on the edge of a forest in Peterborough, Ontario. Having raised two children, she now spends time every year writing in Crete. When a woman caught breaking into a Century stone house won’t tell anyone her name, not police, not social workers, not even a lawyer, the judge remands her to a mental health hospital’s forensic psychiatric unit for assessment. Here, on a ward peopled by dangerously unbalanced criminals, cat-and-mouse sessions with psychologist Dr. Elaine Price, an over-stressed, recently separated mother of two, lead both women deep into the uncertain terrain of identity where laws, superimposed, do not always deliver justice. Shortlisted for Quattro Books’ Ken Klonsky novella award, Homeless was published in 2018. Luciano Iacobelli, publisher of Quattro Books.